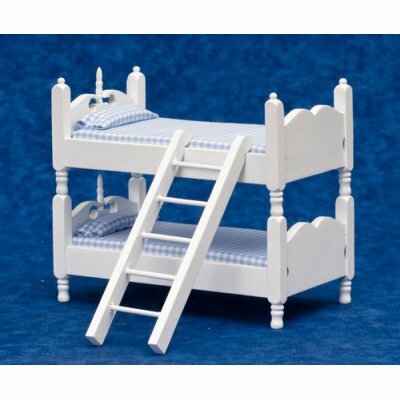 This dollhouse miniature bunkbed set is all wood, has a ladder and is done in 1:12 scale. 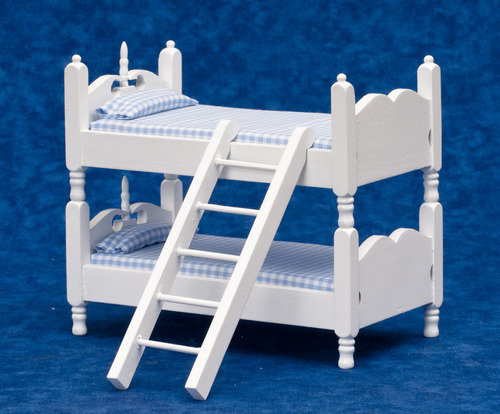 Assorted matching linens for each bed are included and the miniature bunkbeds measure 4.75" tall by 3" wide. 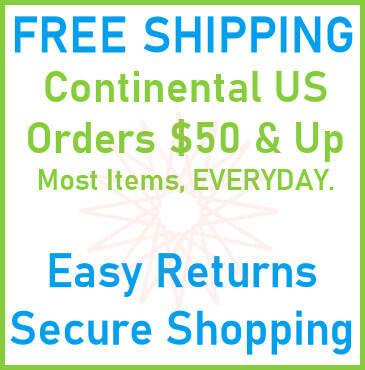 This Bunkbeds w/ Ladder - White is supplied by Aztec Miniatures, which generally ships within 8 business day(s) of you placing your order .